We now have the all-new Kia Telluride in Odessa, Texas. This new Kia SUV is packed with advanced technology and specialty features normally reserved for luxury vehicles. Its spacious cabin offers seating for up to eight passengers and available reclining dual captain’s chairs that slide forward for easy 3rd row access. The new Kia Telluride is now available for sale or lease in Odessa. Factory incentives and dealer special offers may apply. 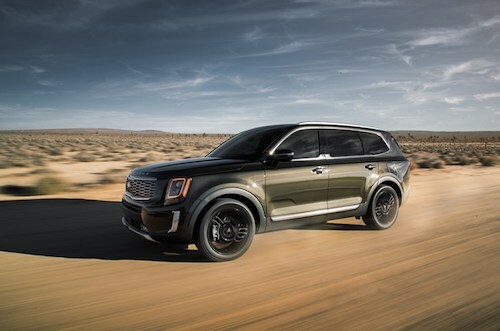 Please contact us if you would like to learn more about this exciting new Kia or if you would like to schedule a test drive of the new Kia Telluride in Odessa, TX.